Dr. Sheldon Lidofsky is a board certified gastroenterologist at University Gastroenterology with more than 20 years in the field. Lidofsky is an expert in inflammatory bowel disease, an umbrella term for disorders that include Crohn’s disease and ulcerative colitis. 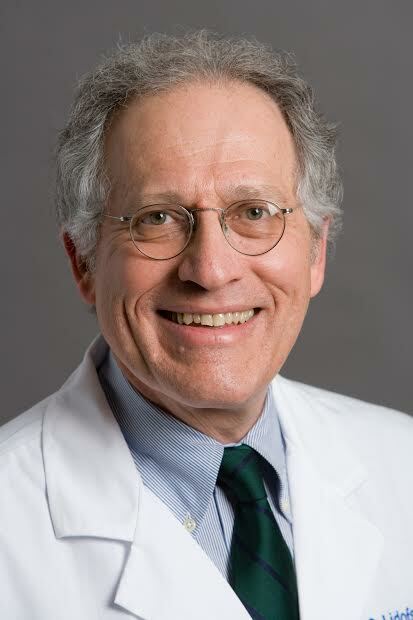 He also has a specialization in video capsule endoscopy, colorectal cancer screening and small-bowel disease. Lidofsky is a clinical assistant professor of medicine at the Warren Alpert Medical School of Brown University. He completed his residency in internal medicine at the Bronx Municipal Hospital and the Albert Einstein College of Medicine; and completed a fellowship in gastroenterology at Mount Sinai Hospital and the James J. Peters VA Medical Center. To mark the end of national Crohn’s and colitis week on Dec. 7, Providence Business News asked Lidofsky about how treatments for the ailments have improved through the years thanks to research and advancements in medications. PBN: On Nov. 14, 2011, the U.S. Senate passed Senate Resolution 199 (SR-199): “A resolution supporting the goals and ideals of Crohn’s and Colitis Awareness Week, Dec. 1-7.” Why was this important? LIDOFSKY: Crohn’s and colitis (grouped together as inflammatory bowel disease, or IBD) affects approximately 1.6 million Americans. The Senate resolution in 2011 markedly helped bring extra awareness to this disease. Now, each year during Crohn’s and colitis awareness week, we take some extra time to think about this illness. We think about all the people affected who often struggle with the myriad of symptoms it can bring. We think about the family members who help and support their loved ones affected by it. We think about all the continued advancements in how we combat this disease. But we also think about how far we must go to better understand this entity of IBD. Lastly, we use this platform to fundraise and support the research and development that must continue to further our understanding. The Senate resolution showed that our government understands the importance of IBD and how it affects our community. IBD can affect children and adults of all ages and is one of the costlier diseases to treat. Dealing with IBD requires a community and team approach, so the more awareness that exists, the better we can help all of those affected by this illness. PBN: Why are the two conditions grouped together? LIDOFSKY: Crohn’s disease and ulcerative colitis are each types of inflammatory bowel disease and although there are significant differences between the two conditions, our understanding of the causes of these conditions and many of the treatments are very similar. While the cause of inflammatory bowel disease is not well understood, both ulcerative colitis and Crohn’s are believed to occur as a result of hereditary factors interacting with environmental triggers, resulting in an immune response in the gastrointestinal tract. Many of the genetic and environmental risk factors that have been identified are shared between both Crohn’s and ulcerative colitis. The primary difference between the conditions is that in ulcerative colitis, the inflammatory response is limited to the colon, while in Crohn’s disease the inflammation can be seen throughout the gastrointestinal tract. This can result in significant differences in symptoms and subsequent complications despite the fact the underlying cause of the problem in both cases is gastrointestinal inflammation. The goal of treatment in both conditions is to heal inflammation, and many of the medications used to treat Crohn’s and UC are the same, depending more upon the location and severity of inflammation rather than whether a patient had Crohn’s or ulcerative colitis. PBN: How has treatment improved through the years? LIDOFSKY: The past decade has seen great advancements in both our medicines for inflammatory bowel disease and our strategies in using them. Specialized medicines that target our body’s inflammatory system essentially block the signals that lead to inflammation in the GI tract. These medications have not only improved the control of patient’s symptoms, but they have slowed the progression of the disease in some patients, preventing future complications and need for surgery. New tests measure the level of inflammation and allow doctors to more closely monitor the patient’s response to their treatments, allowing further adjustments to best control the inflammation. Newer medications that have recently become available allow for more options and work on a variety of different targets that all aim at reducing inflammation. This allows for promising new alternatives if standard treatments fail. By combining more-effective medicines, a greater number of treatment options and improved strategies to closely follow treatment response, doctors treating IBD have better tools to control the disease activity and ultimately provide patients with better long-term outcomes. PBN: What advancements are being made or on the horizon in treatment? LIDOFSKY: There have been many recent advances in the treatment of IBD through the years. The first drugs to treat IBD were developed in the 1950s and were mild anti-inflammatory drugs for the colon. There has been marked progress since then to new, novel biologic medications, which were first used 20 years ago. There are now two new drugs in two different categories of biologics available. They are all still antibodies synthesized or made by pharmaceutical companies directed against specific parts of the immune system. They have been carefully tested for how well they work, how safe they are and they are approved by the FDA [U.S. Food and Drug Administration]. The two new drugs (vedolizumab and ustekinumab) are in some ways more selective and target different inflammatory pathways in the body. At this point, the new drugs may be as good as the old ones, and may even have a better safety profile. Another advancement in our ability to treat patients is the easier availability to monitor drug levels. This concept has been used in medicine for years, but now can be more readily used in this area of biologics. It will help us make better decisions about changing dosages, timing of treatment or when to change to another drug category. There are more drugs in the pipeline. All of them work on the immune system, but the next ones likely to come out are smaller molecules, allowing them to be given orally because they can cross the GI tract to get into the circulation, and may be even more selective as to which part of the immune system they block. Where they fit in is not quite known yet, and they are not approved, but will give us more choices for treatment. It is not clear yet how much better or safer they will be, but they are in the last hurdle before FDA approval and it will be exciting to see where they fit in. Lastly, we are beginning to try to care for our patients in a different manner. We are exploring a more multidisciplinary, patient-centered approach to caring for our IBD patients. This will likely evolve to a more team-like approach in our offices involving the doctor, advanced practitioners, nurses and support staff. The goal will be to work together to get patients seen more quickly, complications monitored more closely and to obtain better defined clinical outcomes. Hopefully, we can improve our interactions with this chronically ill population, and help the planning of their care. Lastly, the hope is that involving patients in this type of team approach and letting them be more proactive in their care will improve decision-making and overall outcomes. PBN: We spoke about restrictions on testing due to health insurance policies. Would you like to include something on the challenges that you face with this? LIDOFSKY: There has been a collision of two factors in recent times – the advent of incredibly effective but expensive tests and medication to manage IBD and the rise in the cost of health insurance. We, as a profession, are certainly grappling with issues getting our patients these tests and medications that we feel are appropriate. Continued patient advocacy is crucially important. Also, educating everyone that managing our patients with IBD with these effective yet expensive costs will result in downstream savings by avoiding prolonged hospitalizations and surgery is essential. We are working to collect and disseminate data, which proves this and makes our patients’ access to these tests and medications easier.